Dr. Kim Southwell didn’t come from money or the big city. She was raised in a small rural town, where her dad was a cattle buyer & farmer. Kim spent her free time at cattle sale barns, feedlots, and 4-H livestock fairs showing cattle, riding horses, and driving the tractor through pastures helping with chores. 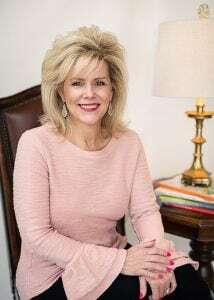 But Southwell’s strong work ethic paid off as she is now the founder and owner of The Reading Ranch® Tutorial Center, which has six locations in the Dallas-Fort Worth area – including one here in Castle Hills. Her childhood also serves as the perfect backdrop for why Southwell is so passionate about children’s literacy. Southwell can relate. She struggled with her reading and attention problems, which led to poor self-confidence in the classroom. But in those days, teachers didn’t know how to help students with reading problems. It wasn’t until her mother began taking her to after-school reading tutoring a few days a week that Kim started showing progress. Those successes and experiences helped her create the kid-friendly, western-setting Reading Ranch. Since 2006, The Reading Ranch has offered a phonetically-based program in reading, writing, and spelling enrichment. The multi-sensory teaching approach meets individual needs, giving students a strong foundation in reading, writing, and spelling while ‘filling the gap’ for children who need literacy support. The program has become so popular that Dr. Southwell decided to offer franchising. By partnering with other like-minded educators, the benefits of The Reading Ranch services can serve more children while providing a great business opportunity for people who wish to own their own business and help children. It’s all to give children early mastery of skills they will need forever.